Bold colors are the specialty of Sindhi Jute Rugs. Thick fringes and modern patterns give them a unique identity that is rich and rare, a piece difficult to get elsewhere. One can instantly feel rejuvenated after watching the burst of exclusive colors and patterns of the Sindhi Durries. These are ideal for commercial and residential areas, and thus, creating a huge demand in the national and international markets. Customized solutions are also available with the some manufacturers of these rugs. However, availability of numerous shapes, sizes, and designs naturally curbs the demand of customized demands. In case you want one for yourself, you can directly consult to a manufacturer or supplier of Sindhi Jute Rugs. Hand Woven Sindhi Jute Rugs are made on Pit Looms, a weaving pattern that has long tradition since 6,000BC. There are several other types of handloom exists to weave durries such as Back Strap Loom, Draw Loom, Hand Loom, Flying Shuttle, and more. Sindhi Jute Rugs are the traditional art of Rajasthan that truly identifies with the name â€œRangeela Rajasthanâ€�. Intricate designs and pattern are part and parcel of these rugs. 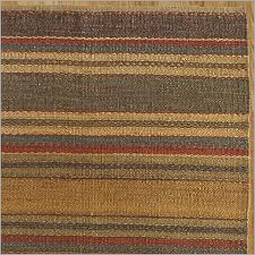 If you are planning to decorate your interiors with Sindhi Jute Rugs or deal in the product, you can contact to the manufacturers present on the online shopping portals. Here, you can find exclusive range of Sindhi Jute Rugs fabricated in varied shapes and sizes. Thus, you are just few clicks away from the vast of assortment of the rugs designed in stunning patterns, exclusive color-combinations, and soft texture. You can try negotiating but we want to make familiar with the high manufacturing cost incurred on the producing Jute Products, as it is still not explored completely. And so, you can find the prices higher than the cotton or plastic home furnishing items available in the market.